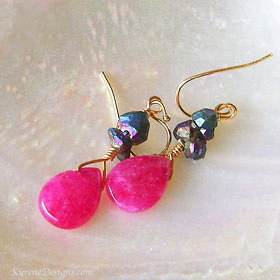 Passion ....runs amok in these beautiful colourful jewel earrings! 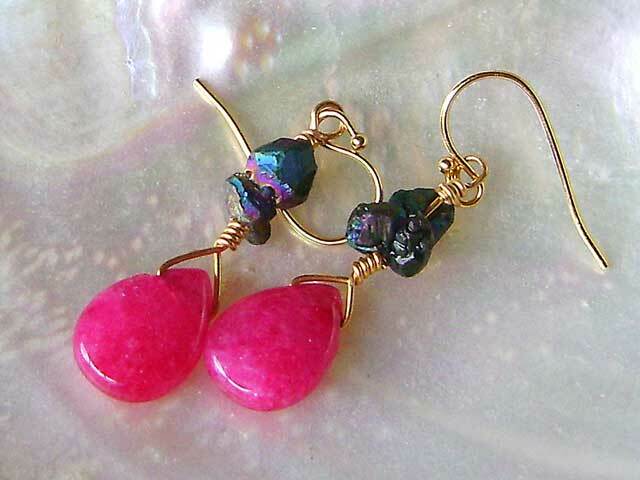 I've combined hot pink jade and rainbow quartz with carefully wrapped wire. Length: 45mm. Gemstone 15mm. 14ct goldfill.